Fly to Seattle (flight not included in land only bookings). On arrival you will be transferred to your hotel (day is unescorted). Spend the day exploring the ‘Emerald City’ (day is unescorted). Fly to Boston (flight not included in land only bookings). On arrival you will be transferred to your hotel (day is unescorted). Day 37 - Lancaster – Washington D.C.
Be amazed by the beauty of Alaska on this 14 day cruise & tour from Vancouver to Fairbanks. 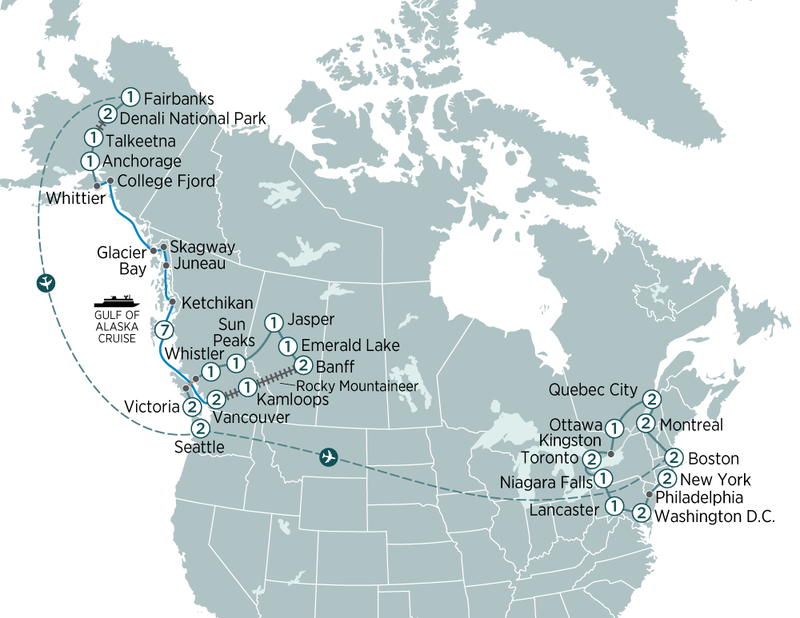 Highlights include Denali National Park & Glacier Bay.